The TVNZ Sunday programme generated so much interest in the Meateaters website, and so many emails asking for help on how to contact others interested in cow-pooling that I thought I should provide an update to the post I first wrote nearly 2 years ago. You can see the Sunday programme here and a follow up to the debate from TVNZ Breakfast here. Pete Cronshaw, the reporter in the Sunday story, purchased a cattle beast via Trademe, waited for 28 days and then had the cattle beast slaughtered in what appeared to be a home-kill situation. Let’s be clear – home-kill regulations in New Zealand prevent anyone other than the farmer (owner), farmworker, or the farmer’s immediate family from eating that home-kill meat. The farmer certainly isn’t allowed to sell the meat to any of those people. 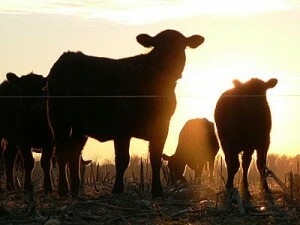 The exception is if you take an active role in the care and maintenance of the animal for 28 days prior to slaughter. Pete Cronshaw suggested that this is what he did before the cattle beast was slaughtered. My opinion is that he broke the law as he wasn’t seen to be caring for the animal in any way. There does appear to be a loop-hole, and it’s apparently backed by the Federated Farmers Rural Butcher chairperson, Mike Hanson. Mike is a dual butcher. He runs Netherby Meats in Ashburton and also operates an abattoir and a home-kill service. Cow-pooling - to do or not? In a press release, and on the Breakfast programme, Mike suggests that anyone could buy a cattle beast or a lamb from a farmer, and as long as that beast was sent to a registered abattoir for slaughter then this is a completely legitimate and legal trade. Rod Slater, CEO of NZ Beef and Lamb, is rightly concerned that home-kill services may not be as vigilant as a licensed abattoir in detecting disease in a slaughtered animal. But for Rod to suggest that the quality is better in the meat from a freezing works to that of an animal slaughtered in it’s natural environment seems to be clutching at straws, and has an air of desperation about it. So, on the face of it if you can find a farmer who will sell you a cattle beast or a lamb, and then you can organise the slaughter of the animal in a registered abattoir then you have made a legitimate and legal purchase, and what’s more you don’t need to wait the 28 days between purchase and slaughter. As well all levies are paid to NZ Beef and Lamb so Rod Slater will be happy too. Here’s a list of licensed abattoirs in New Zealand. I can’t guarantee the accuracy of this information, but it’s a good starting point.